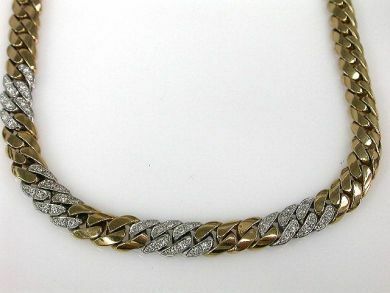 One 14 karat yellow and white gold diamond necklace. The curb link design necklace is set with forty-eight round brilliant cut diamonds (0.96 carats: VS clarity: G-H colour). The necklace is 16’’ in length.